Charming home on large privacy-fenced lot in highly sought-after Oakbrook neighborhood! 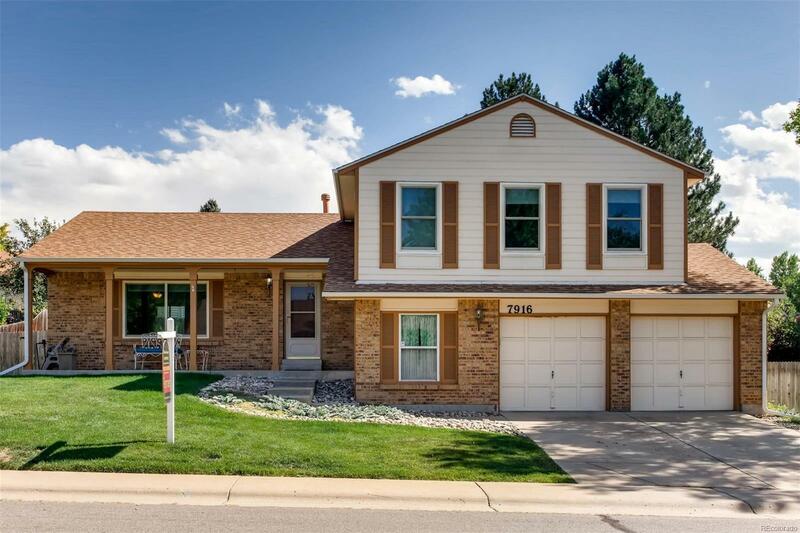 This well-maintained home features custom paint and beautifully updated kitchen counter tops! Great open floor plan with formal living room, dining room, and cozy family room, boasting wonderful views of the lush landscaping surrounding the oversize patio! Outstanding layout for entertaining family and friends! There's even an additional area for the kids to play! And for those who like to tinker, there's a designated workshop area in garage! All this and just minutes from Littleton Adventist Hospital and Medical Complex, Shopping Centers, Highly Rated Littleton Schools and Parks! Newer Anderson Renewal Windows (2015),Laminate Flooring (2015), Roof (2014), Central Air Conditioner (2014), Water Heater (2018). Removable shelving in kitchen can accommodate refrigerator.